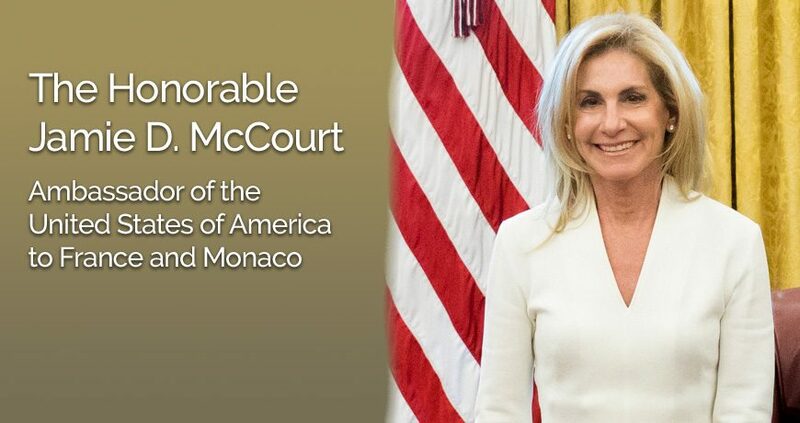 Dear friends, it's my great pleasure to announce that we will once again have the privilege of meeting the US Ambassador to France and Monaco. Members have priority for this event - so renew your membership today! A winetasting with wines from the award-winning Napa winery Newton will follow her Excellency's address. The reception will take place in Paris, 8th. This invitation is non-transferable and destined to Members of the Harvard Club of France. Space is limited. Jacket and tie for gentlemen - No jeans permitted. Date: Wednesday, April 10, 2019 - 6:30 p.m. to 8:30 p.m. Note:The Ambassador's remarks will start at 6:30 p.m. sharp. Please arrive promptly. Please register by April 2, 2019. Formal invitation to follow with location details.